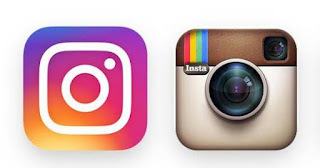 Home / HOW TO / How to block and unblock someone on instagram ? How to block and unblock someone on instagram ? What happens when you block someone on instagram ? How to block someone on instagram ? How to unblock someone on instagram ? So let's start the discussion with the first question. Surprising thing is that he will not know that he is blocked by you. The person who is blocked can't contact you via private chat. So, you have seen the advantages of blocking someone on instagram. Now let's start discussing second question. At first go to your profile. Now scroll till you find the person you want to block. Click on their name to open their profile. Click on the option button(arrow button) situated at the upper right corner. Click on "yes, I'm sure ". In this way, you have blocked that person on instagram. At first search the person you want to unblock on instagram. Click on his name to open his profile. Click on "yes, I'm sure." In this way, you can unblock the blocked person on Instagram.